Winning pitcher Brooke Detommaso was 1-for-4 with four RBIs to help Bonanza’s softball team to a 9-6 win at Boulder City on Monday. Sara Riley went 2-for-4, and Carla LaRosa was 2-for-5 with a double for the Bengals. Ryann Reese went 3-for-4 with an RBI, and Marleena Mills went 2-for-4 with an RBI for the Eagles. Silverado 9, Las Vegas 4 — At Silverado, Alezandria Guariglia was 2-for-4 with a double and two RBIs to lead the Skyhawks by the Wildcats. Jessica Boothe was 3-for-4 with a double and an RBI, and Megan Johnson was 2-for-3 for Silverado. Elizabeth Lockley was 3-for-4, and Angelina Visitacion was 2-for-4 with a triple and a double for Las Vegas. Kaitlyn Horstdaniel was 1-for-3 with a solo home run for the Wildcats. Palo Verde 12, Faith Lutheran 2 — At Faith Lutheran, Alyssa Maillaro was 2-for-4 with a double, three runs and four RBIs to help the Panthers down the Crusaders in five innings. Jadyn Navarro was 2-for-3 with a double and three RBIs for Palo Verde. Kalsey Kekahuna-Lopes was 1-for-2 with a run and an RBI for Faith Lutheran. Centennial 13, Bishop Gorman 0 — At Gorman, Amanda Sink tossed a two-hitter, striking out 13 and walking two as the Bulldogs downed the Gaels. Ashlynn Heck was 4-for-5 with three doubles and three RBIs, and Kaylee Pierce was 3-for-5 with two doubles and two RBIs for Centennial. Abby Hanley and Deanna Barrera each had two hits, including a double, for the Bulldogs. Durango 11, Eldorado 1 — At Durango, Julianna Kaupoe was 2-for-3 with a home run and two RBIs as the Trailblazers topped the Sundevils in five innings. Kaitlyn Fazendin was 1-for-3 with a home run and two RBIs for Durango. Veronica Velasquez was 1-for-3 with an RBI for Eldorado. Shadow Ridge 10, Sierra Vista 0 — At Shadow Ridge, Jasmine Martin tossed a five-inning three-hitter with seven strikeouts and went 2-for-4 with two RBIs as the Mustangs blanked the Mountain Lions. Shea Clements and Hailey Morrow each went 2-for-3 with a home run, and Tori Nichols was 2-for-2 with a double and two RBIs for Shadow Ridge, which scored eight runs in the fifth inning to end the game. Hola Rose Nakayma was 2-for-2 for Sierra Vista. Basic 12, Cimarron-Memorial 2 — At Basic, Angela Santillanes was 3-for-4 with a double and two RBIs to help the Wolves down the Spartans in six innings. Sanoe Helenihi was 3-for-4 with a home run and an RBI, and Jordyn Ebert went 2-for-4 with a home run and three RBIs for Basic. Mikayla Berg was 2-for-4 with a double and two RBIs for the Wolves. Jordyn Ramos was 1-for-3 with a double and two RBIs for Cimarron. Desert Oasis 15, Pahrump Valley 2 — At Desert Oasis, Meaghan McInerney was 2-for-3 with a double and three RBIs as the Diamondbacks downed the Trojans in five innings. Ruby Martinez and Alexus Marquez each went 2-for-3 with two RBIs, and Cynthia Alvillar was 2-for-3 with a double and an RBI for Desert Oasis. Allyson Rily was 2-for-3 with a double and an RBI for Pahrump. Liberty 16, Clark 0 — At Clark, Fia Tofi went 3-for-4 with a home run, two doubles and three RBIs as the Patriots downed the Chargers in five innings. Maddison Hamilton was 3-for-4 with a double and two RBIs, and Kiana Young was 2-for-2 with a double for Liberty, which had nine extra-base hits, including eight doubles. Heather Scott tossed a one-hitter and struck out four for Liberty. 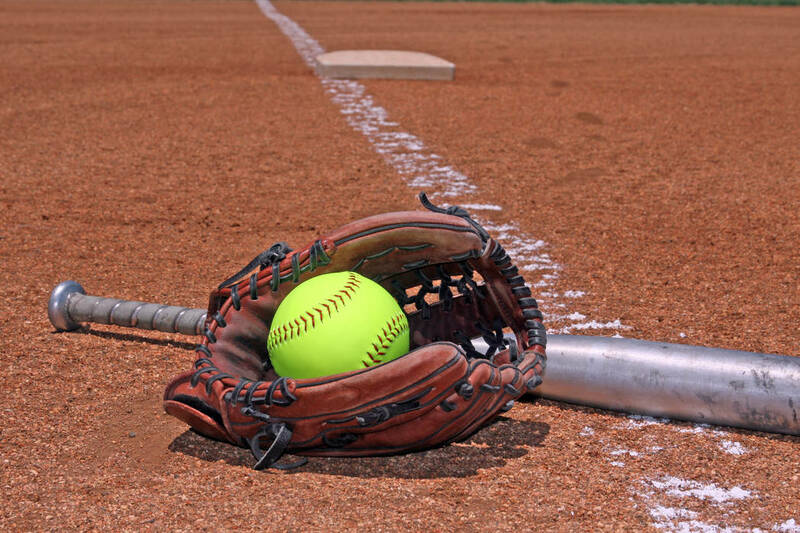 Moapa Valley 15, Sunrise Mountain 2 — At Sunrise Mountain, Madilyn Fairchild spun a four-hitter as the Pirates downed the Miners in five innings.Sierra Bunker and Emilie Barraza each hit a double for Moapa Valley. Christabelle Garner tripled and had an RBI for Sunrise Mountain. Green Valley 18, Legacy 3 — At Legacy, Olivia McClain was 4-for-4 with a double, a triple, three RBIs and four runs scored to lift the Gators over the Longhorns in four innings. Savannah Vincent and Angelina Ortega each went 2-for-2 with an RBI and two runs scored for Green Valley. Alicia Ortega was 1-for-4 with a triple, three RBIs and two runs scored for the Gators. Chaparral 20, SLAM Academy 5 — At Chaparral, Losa Laolagi was 1-for-1 with a grand slam and four RBIs as the Cowboys defeated the Bulls. Paloma Nava was 1-for-1 with a double for Chaparral. Cheyenne Wacker was 2-for-2 for SLAM. Virgin Valley 17, Indian Springs 1 — At Indian Springs, Ally Wright was 3-for-4 with two runs and three RBIs as the Bulldogs blitzed the Thunderbirds in three innings. Kaysha Heath was 1-for-3 with a triple and two RBIs for Virgin Valley. Kamryn Perry was 1-for-1 and scored a run for Indian Springs.